Pakistan coach Mickey Arthur feels the results have given his team a ‘reality check’, adding players are faced with a confidence crisis after two consecutive defeats against India. The first game between the two countries, in the Asia Cup 2018 group stage, went India’s way by eight wickets. If that wasn’t too good from the Pakistan point of view, the nine-wicket reversal in the second game – on Sunday, 23 September in the Super Four – was worse. “Yes, they are suffering a bit of confidence crisis at the moment, there is fear of failure in the dressing room. There is a bit reality check of where we are as a cricket team,” Arthur said after the game in Dubai, according to the ICC News. It was India’s biggest win over Pakistan in terms of wickets – Pakistan put up 237/7, and India, riding on Rohit Sharma’s 111* and Shikhar Dhawan’s 114, got to 238/1 in just 39.3 overs. “In terms of worst performance, nine wickets has to be up there. India have very good players. If we give them an inch, they are going to make us pay and they did that,” said Arthur. Pakistan’s cause was not helped by lapses on the field. 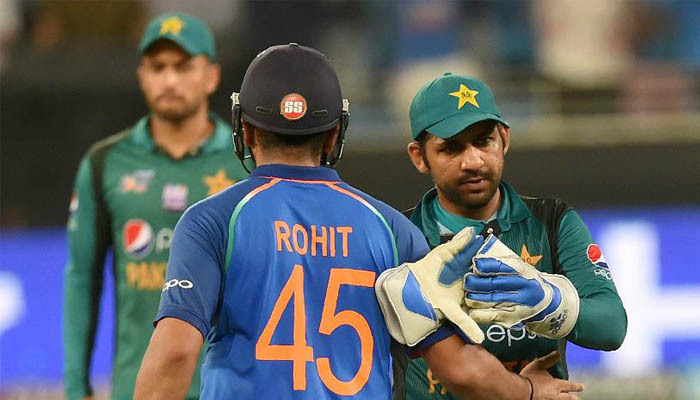 They missed a few chances against Afghanistan earlier in the tournament, and against India, they dropped Rohit Sharma twice – first by Imam-ul-Haq off Shaheen Afridi in the sixth over and then by Fakhar Zaman off Shadab Khan in the 28th over. That wasn’t the only area where Pakistan faltered: “Our strike rates were not good enough with the bat. With the ball, we need to strike early against these guys. We had a couple of chances, we didn't take them. When you give these guys chances on wickets like these, they dominate you. The South African also pointed to the Indians’ preparation for the big game, saying that there was much to learn from it for the Pakistanis. “One thing that really impressed me, we were at optional training session the other day and I sat there for 20 minutes, I saw Jasprit Bumrah in a net next to us execute yorker after yorker after yorker. He put that into practice,” said Arthur – Bumrah returned 2/29 on Sunday. Next up for Pakistan is a game against Bangladesh; if they win it, they have a third engagement with India in the final of the tournament. If they lose, it will be Bangladesh v India.